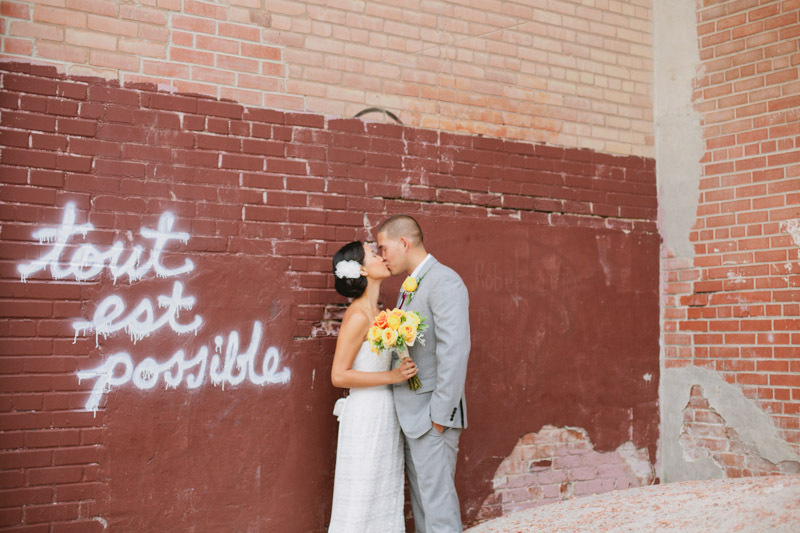 As a Toronto wedding photographer who’s been shooting for over 6 years now, I often get asked for recommendations for some truly iconic Toronto photo locations. I personally have many favourite spots (some of which are included in the list below!) but what I love most about our city is simply wandering, and stumbling across somewhere new or unexpected that I’ve never been before. (Maybe I’ll do a post on those spots in the future!). For now though, after combing through thousands of photos, I’ve selected 8 of my favourites, that I think represent our iconic city. Who knows, the next time you’re near one of these spots, you may catch me behind my lens! 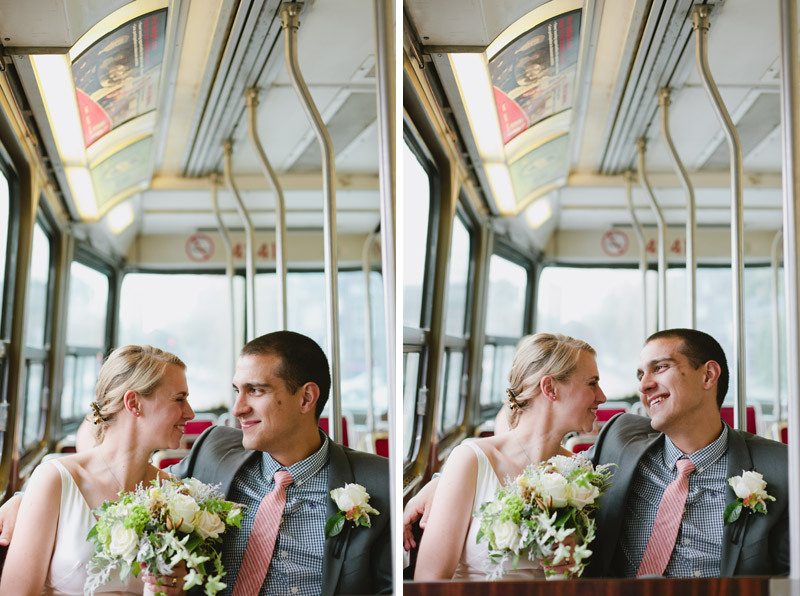 Nothing says Toronto and is as instantly recognizable as a red and white Toronto streetcar. 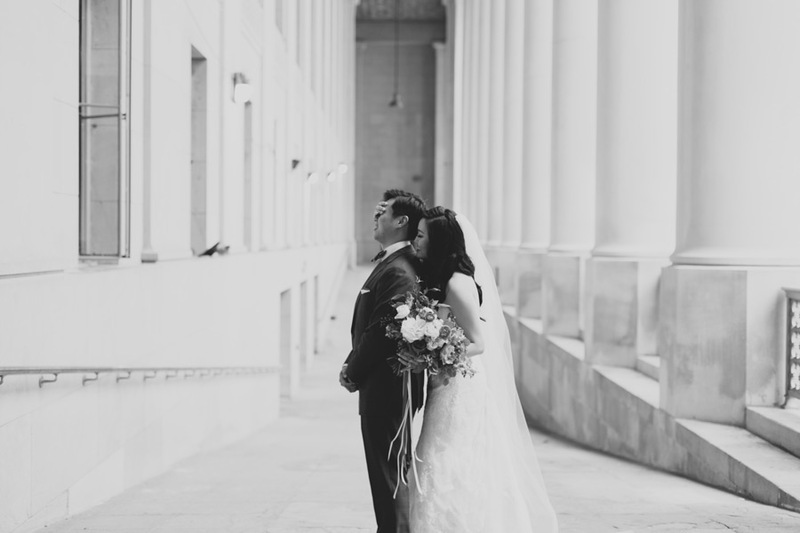 The shot below was taken outside of historic Osgoode Hall, just as the 501 Queen car made an appearance. And speaking of the iconic red & white streetcars, I love taking some photos on the streetcars themselves when possible! With the new vehicles coming in slowly, who knows, these older ones may soon be a thing of the past. While not quite the streetcar photo, but I stumbled across this with my couple outside Bay station in Yorkville and we thought it was fun. I’m not really sure how the alleys of Queen street west got so much attention in the first place, but it’s become even a bit of a tourist attraction. If this is your hood, or you like street art, this is a great place to come wander and take some photos. 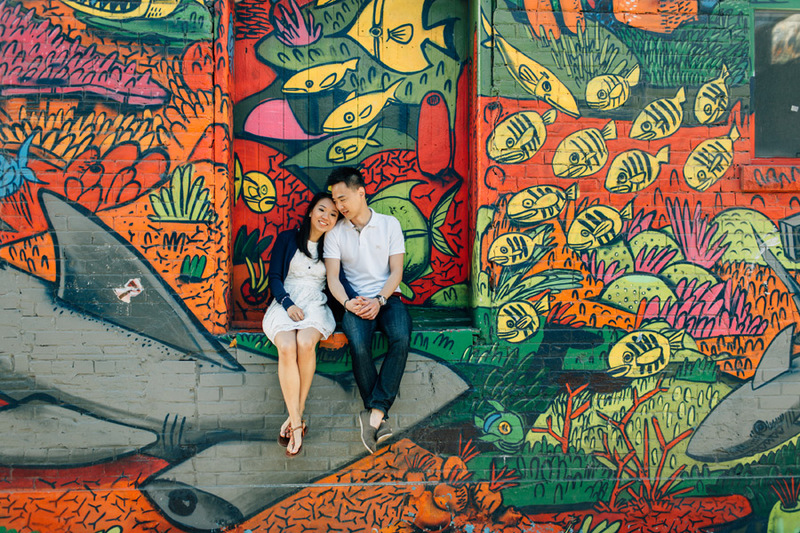 The colourful and many variety of graffiti art make for great backdrops! A simple way to get away from all the hustle and bustle of the city, just a stones throw away. 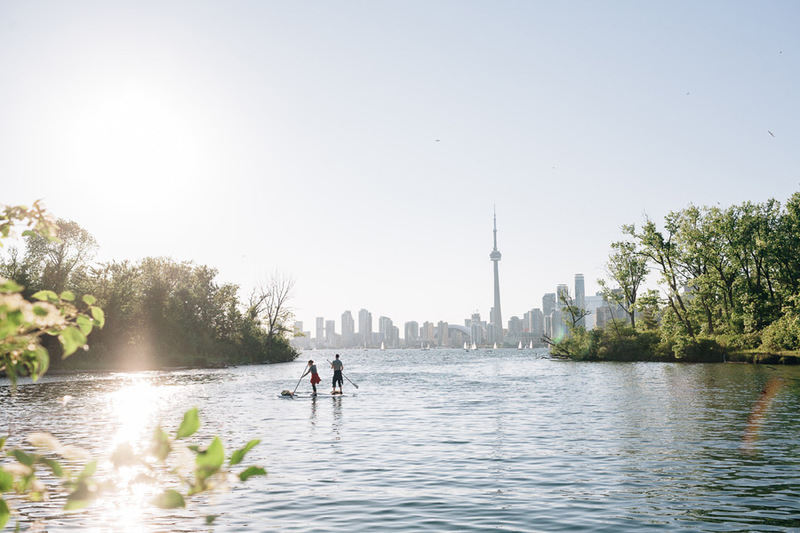 The Toronto Islands make for a great day trip for locals and tourists alike, but they also make for some great adventures for outdoor enthusiasts! Grab a kayak, stand up paddleboard, bicycle, or simply get your feet moving – only a 15 minute ferry ride from the mainland. I love the islands because they are so accessible, and so relaxing. And even if you are not the adventurous or sporty type, the islands are a great place to relax and get some time in with nature. Plus, it’s one of my favourite spots to watch the sunset from. 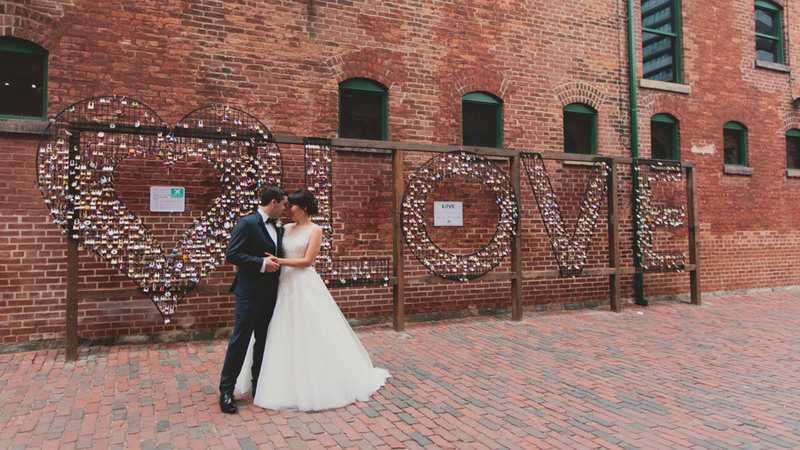 The Distillery District has long been a favourite with many of the clients I work with due to its history and architecture. There’s something a little bit edgy about it that gives it a unique vibe, but at the same time it is so distinctly Toronto. Sample a craft brew, sip a delicous coffee or just stroll throught the lanes and alleys exploring. A great way to spend an afternoon in an iconic Toronto district. During the holidays, the Christmas market here has become a hit in recent years as well. So maybe I’m a bit of a sucker for train stations because of my love for train travel, but Toronto’s Union Station is still an impressive sight. Once the current renovations are complete, I’m sure this will be even more spectacular than before. 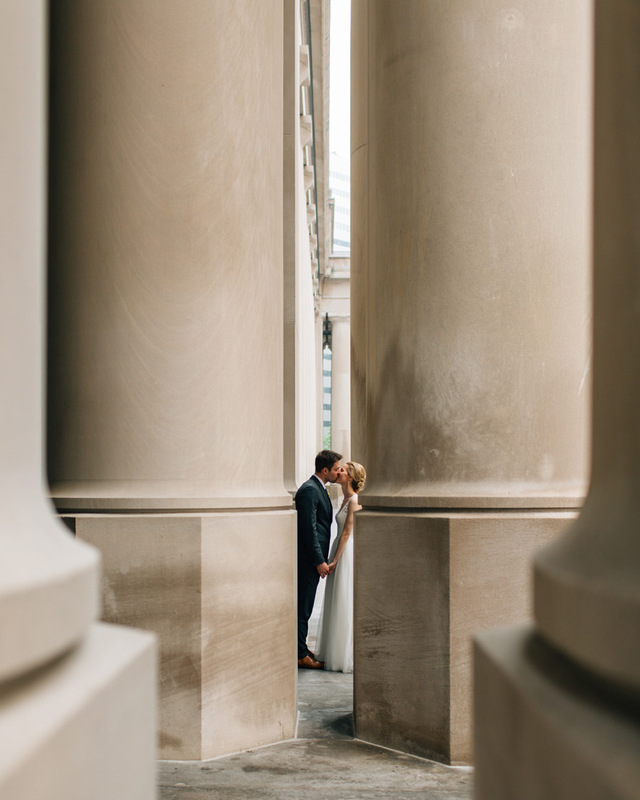 Located just across the street from the historic Fairmont Royal York on Front Street, Union Station serves up its fair share of great spots for portraits. I love the location for the classic and grand architecture, and it doesn’t even feel like you are in a modern city like Toronto anymore. 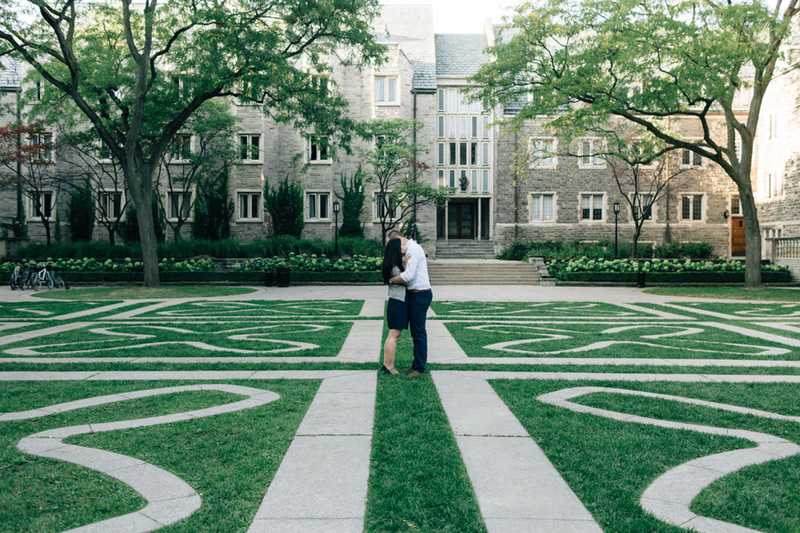 The University of Toronto (which I’m a proud alumni of!) was founded as King’s College in 1827, as Upper Canada’s first insitution of higher learning. The architecture around the campus is amazing due to the history and is definitely one of my favourite spots to photograph in the city. A permit is required to shoot here although if you are an alumni, you do receive a discount. As the biggest museum in Canada, the ROM is definitely a popular destination. 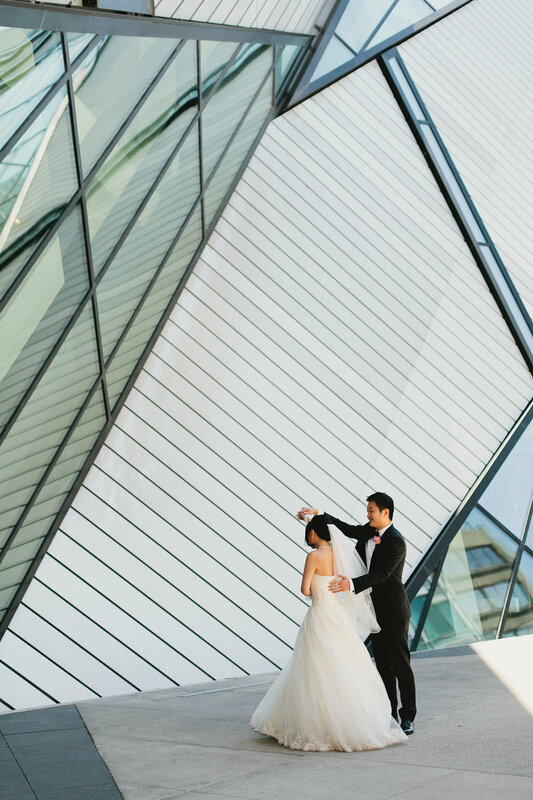 While it’s not typically thought of for wedding photos or portrait photos, I think the angular lines of the Michael Lee-Chin “Crystal” provides an interesting backdrop. 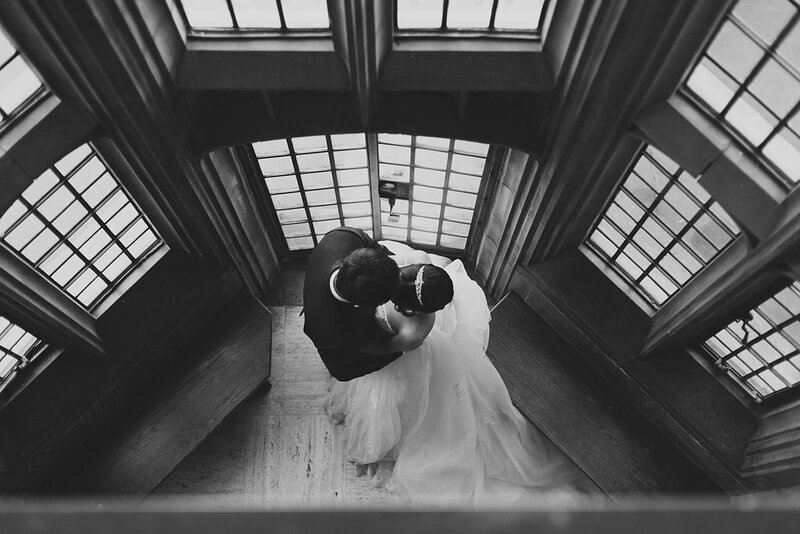 As a prominent landmark, it’s just a very Torontonian location. Have an iconic spot that’s not listed here? Let me know in the comments below!